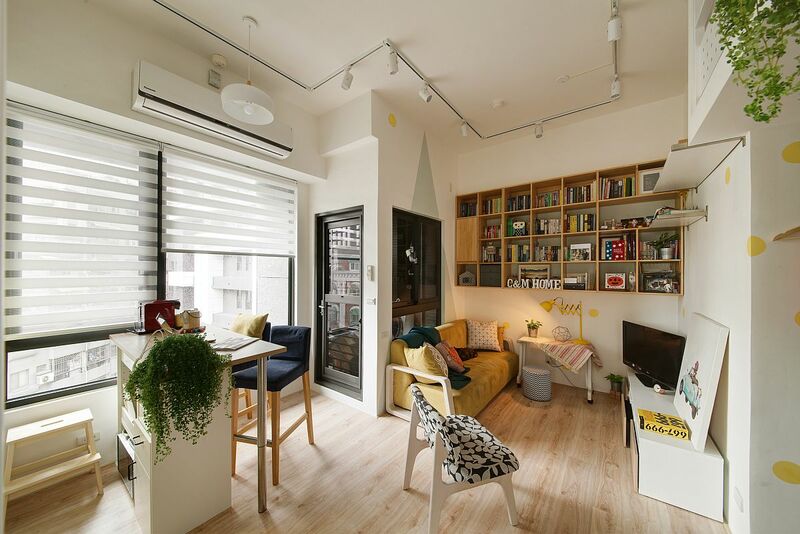 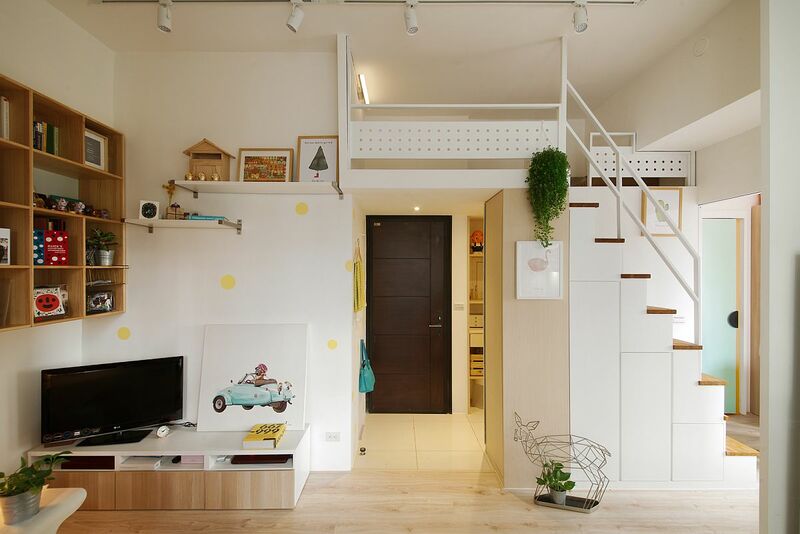 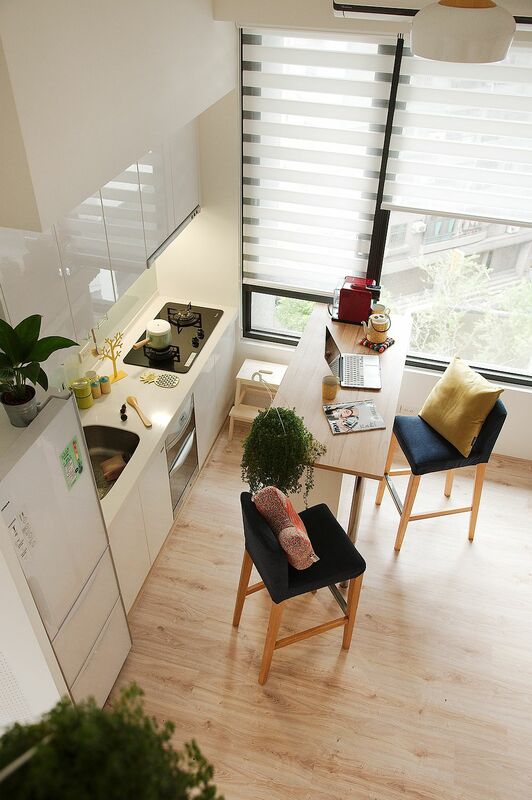 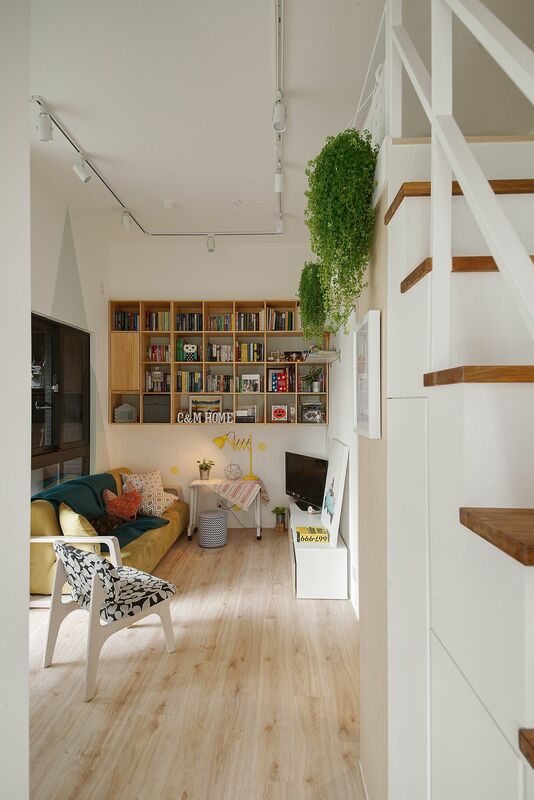 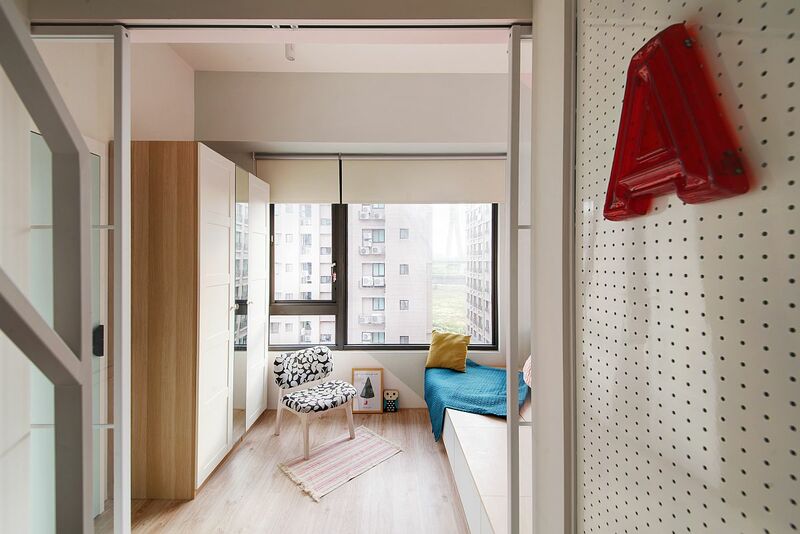 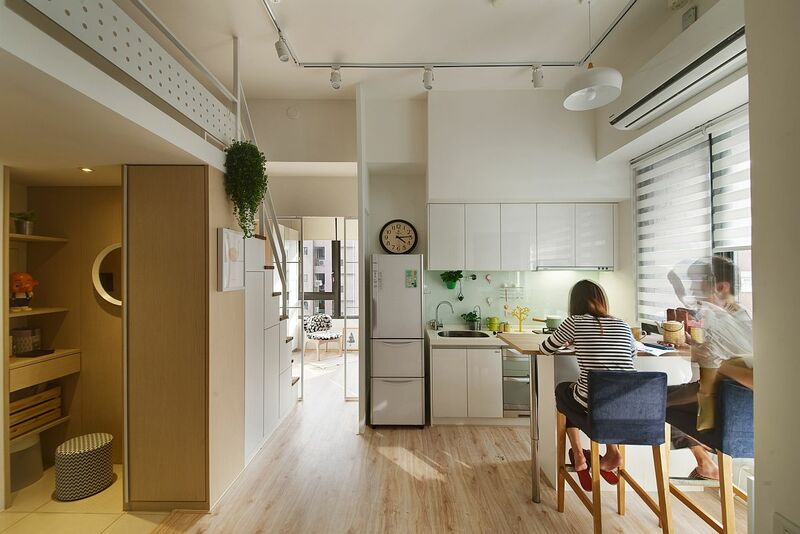 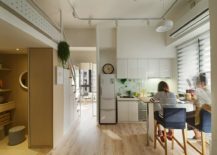 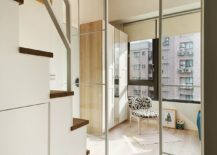 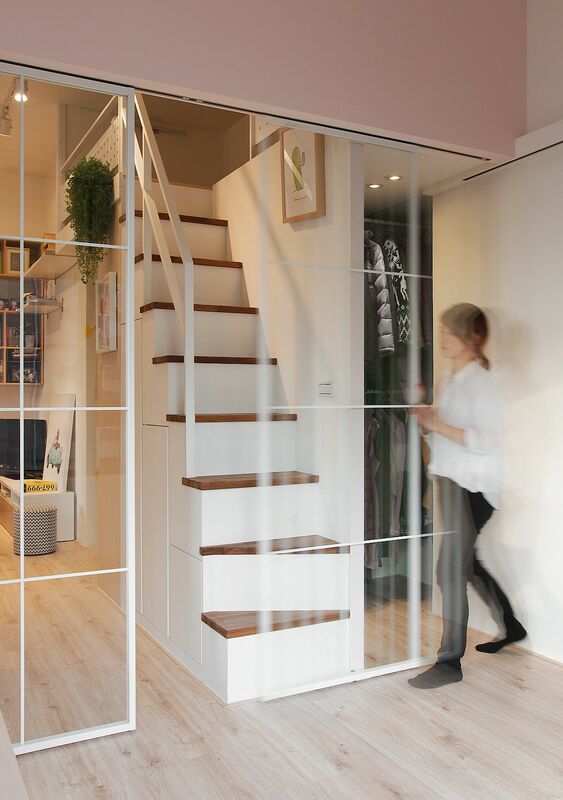 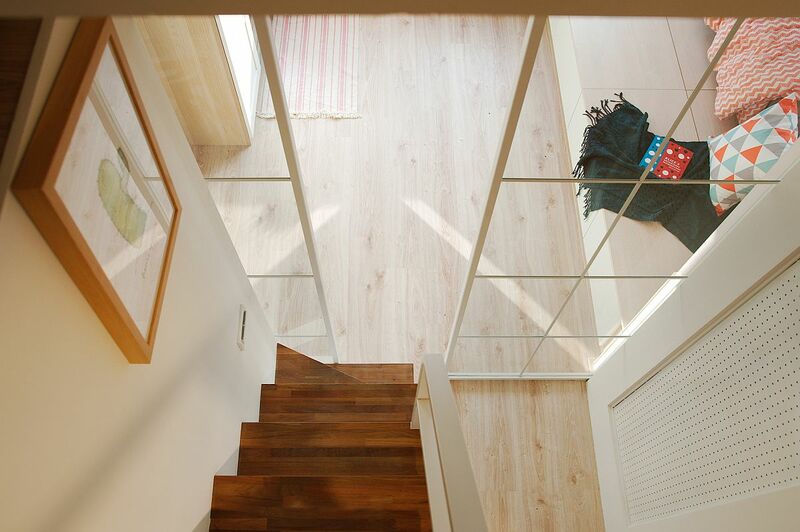 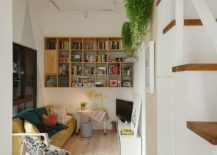 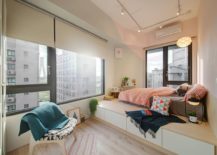 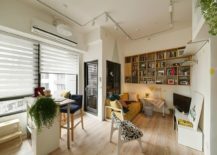 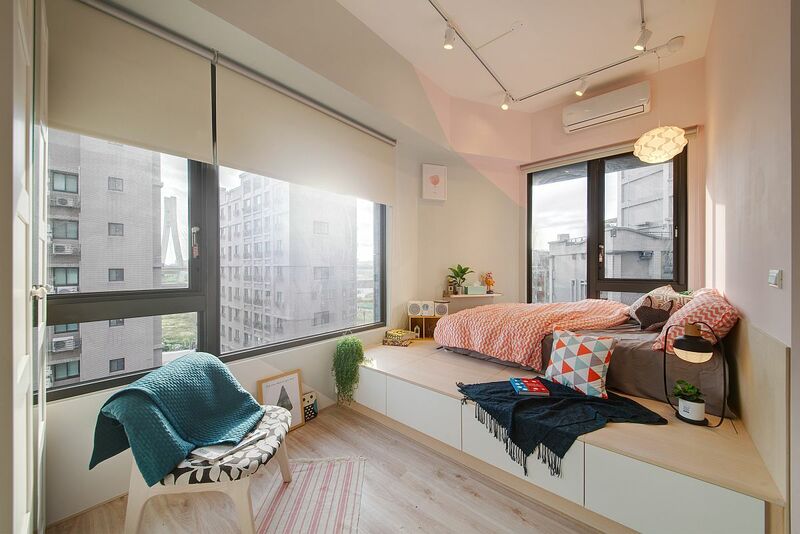 Transforming a poorly planned and tiny apartment in New Taipei City, Taiwan, A Lentil Design crafted this fabulous little space for a modern, urban couple and their delightful pawed friend! 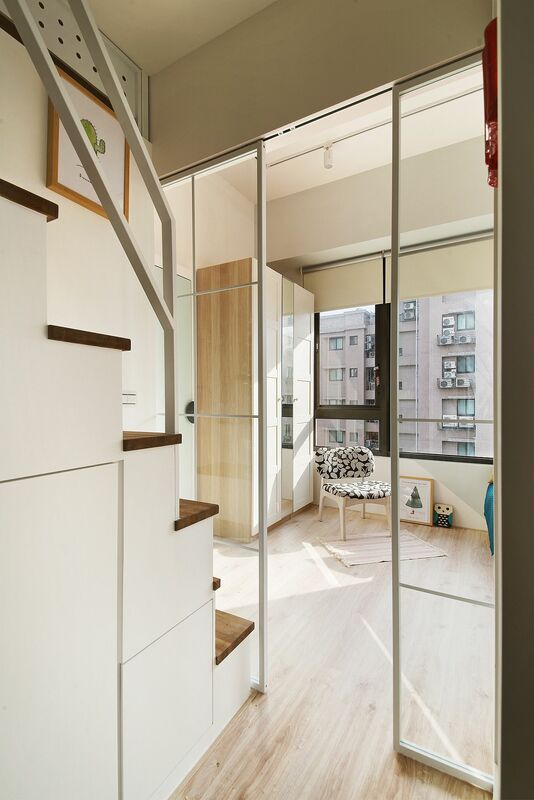 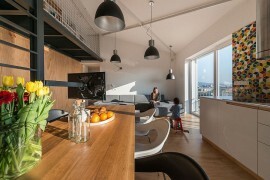 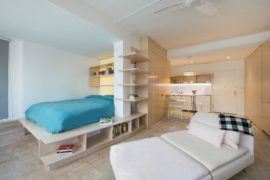 The apartment was filled with a series of unnecessary internal partitions that gave it a cluttered and dark look. 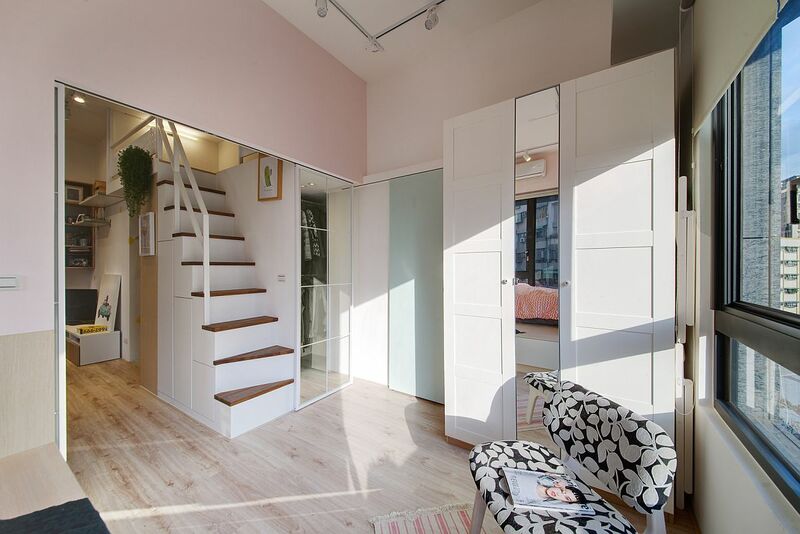 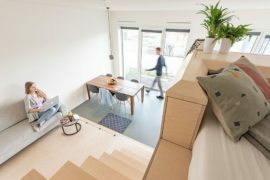 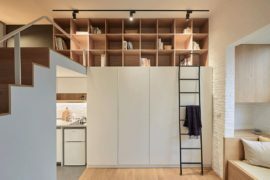 With limited space of just 49.5 square meters, it was obvious that every inch of space inside the apartment needed to be used to the hilt. 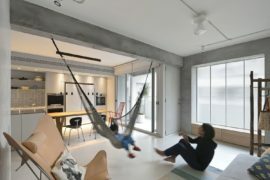 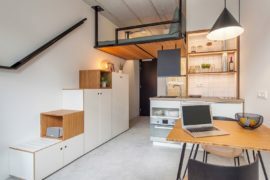 The renovation started with clearing of all internal walls to fashion an open plan living area with a tiny living room in the corner and a space-conscious kitchen. 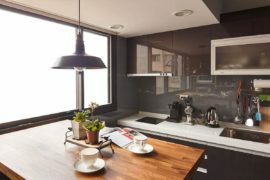 The kitchen is filled with a wall of white cabinets that help tuck away mess and reduce visual fragmentation. 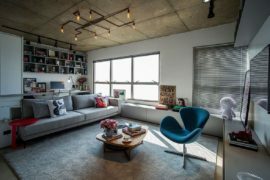 In one corner of the living area a small sofa along with the TV and a custom wooden shelf are snugly tucked away while a modest dining area and breakfast bench completes this setting. 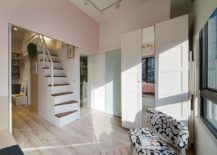 A bedroom on the lower level and an additional attic bedroom along with a bespoke staircase that contains hidden storage compartments complete this exceptional and unique apartment. 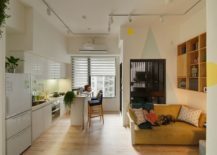 It is obvious that the backdrop of the interior was intentionally kept neutral and painted white to give it a more spacious appeal. 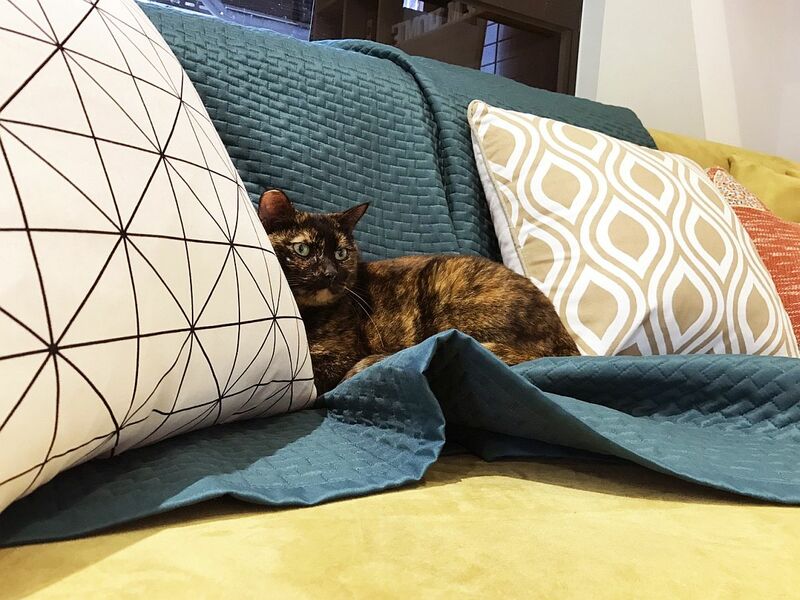 Geo patterns and pops of color are used carefully and in a curated fashion to provide freshness without disturbing this sense of tranquility. 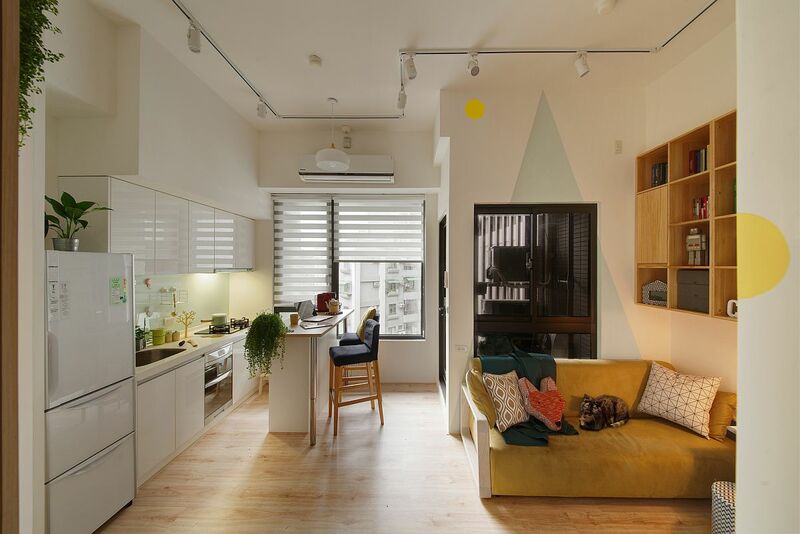 Large windows bring in ample natural light and track lighting takes over after sunset to eliminate any dark corners inside this revitalized Taipei City home.